We manufacture custom-built cabinets for outdoor kitchens, islands, fire pits, fire tables and fire features. Our in-house stainless steel line for storage solutions (doors, drawers, trash, LP tank holders etc.) is considered one of the best in the luxury market segment. Galaxy Outdoor is a privately owned and operated company. Founded on the premise of providing unique designs and superior products to create your own personalized outdoor entertaining areas. In maintaining this commitment to deliver exclusive quality, all items used in the manufacturing of the Galaxy Outdoor product line are 100% made in the USA. TuffSkin Surface Protection is a proprietary stone laminate developed for natural stones to protect from all etching and staining. Liquid impermeable, heat resistant & environmentally friendly, TuffSkin is a perfect solution for protecting marble tables, desks, vanities, bars, public spaces & casegoods with marble tops. Also good on stainless steel table tops & bars. 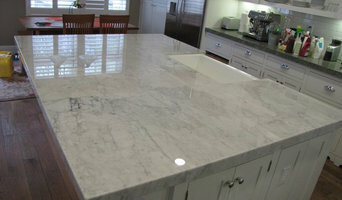 We offer two finishes, Gloss for polished & Satin for honed surfaces. Earth and Water Studios is a Las Vegas based company that specializes in making custom indoor and outdoor water features. We are a team of metal-bending, water-curving experts, with a proven history to turn any space into a work of art. Earth and Water LLC designs and manufactures unique architectural custom water features. With over 18 years of experience Earth and Water LLC has been a leader in sustainable water elements. Hankin Specialty Elevators, Inc. is a leading distributor of residential home elevators, wheelchair lifts and various accessibility products for both the residential and commercial markets. With over 25 years of service, we can offer our customers the highest quality products and the best service available. We focus on the needs of others whether it’s a small or large project. Our territory spans all of Northern California and Nevada. All of our technicians are factory certified and licensed with the state. Let Hankin Specialty show you why we are the best company for your accessibility needs. We are here for you now and for years to come. 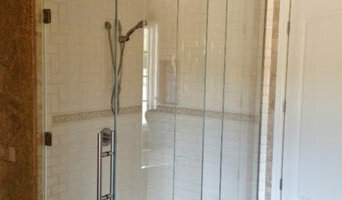 Hoffman Handyman Construction prides itself first with great customer service, second quality, guaranteed work. Our motto is "If You Can't, Hoffman Can". We have over 25 years of experience, great reviews, an A rating on Angies List. Give us a call for all your handyman needs. Inspections on Integrity with Hunt Property Inspections. Home/Residential and Commercial Inspections serving the Las Vegas Valley. Independently owned and operated. Residential and Small Commercial Contractor. CitiClean Services is a commercial cleaning & house cleaning contractor serving the Las Vegas, NV area. Services include Commercial Cleaning, Janitorial Services, Office Cleaning, Porter Services, Restaurant Cleaning, Retail Cleaning, Floor Stripping, Floor Cleaning, Carpet Cleaning, House Cleaning, Move In and Move Out Cleaning, Apartment Cleaning, Deep Cleaning Services, Event Cleaning, Window Cleaning and Green Cleaning. Creating custom systems and procedures to keep lives and spaces in order, Chaos Managed will organize your space to help maximize productivity and reduce stress. Chaos Managed can help by organizing any space at home or work, including closets, cabinets, pantries, bathrooms, playrooms, home offices, garages, business offices conference rooms, etc.. We also assist with packing and unpacking before and after you relocate to a new home, or travel. Hi, I'm Bill Pinckard, owner of MicroSeal Permanent Fabric Protection. We care for rugs and fabrics from around the world, from silk Persian rugs to exotic Leathers and every fabric imaginable! MicroSeal is the #1 most requested fabric treatment world wide by designer! Enviro Safe Pest Control has been a leading provider of full service pest control services in Las Vegas, NV, Henderson, Nevada and the surrounding area since 1996. We are QualityPro Certified and our employees are among the most knowledgeable and conscientious technicians in the area. At Enviro Safe Pest Control, we specialize in the removal and control of ants, bees, scorpions, termites, spiders, mice and rats, stink bugs, beetles and more. For thorough, environmentally-friendly pest control, contact Enviro Safe Pest Control today! Enviro Safe Pest Control provides commercial and residential pest services in Spring Valley, Summerlin South, Sovana, Rhodes Ranch and throughout Clark County, Nevada. Whether you’re looking for a team of Las Vegas, NV professionals or a handyman for a small renovation, you’ll find dozens of professional profiles and contact information for specialty contractors here on Houzz. Here are some related professionals and vendors to complement the work of specialty contractors: General Contractors, Landscape Contractors, Architects & Building Designers, Interior Designers & Decorators, Kitchen & Bath Designers. Let’s say you want to install custom wood flooring in your dining room, and you’ve found a Las Vegas, NV company with excellent reviews. Next you’ll want to contact the company and make some inquiries. 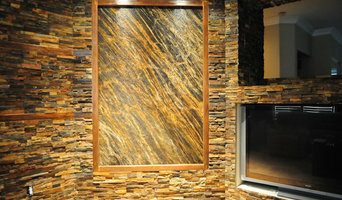 Find specialty contractors on Houzz. Look in the Professionals section of our website under Las Vegas, NV specialty contractors, then select the nearest metro area for a contractor. You can also look through Nevada photos of completed projects to see how a contractor might approach design challenges.